A Fox News contributor with a history of inflammatory and racially charged analysis has generated a new uproar with his defense of Republican presidential candidate Ben Carson's recent comments on the Holocaust. In a column published Friday on FoxNews.com, Dr. Keith Ablow wrote that Carson was right to assert that gun control laws made the Holocaust possible, arguing that Jews in Germany could have waged a more effective opposition during the Third Reich. "The mindset that Jews surrendered with their guns is far more important than the hardware they turned over: They surrendered the demonstrated intention, at all costs, to resist being deprived of liberty," Ablow wrote. Ablow also used the column to rebut Jonathan Greenblatt, national director of the Anti-Defamation League, who said that Carson had injected a fringe and inaccurate idea into the campaign and mainstream media. The ADL did not immediately respond to a request for comment on Ablow's column, which has drawn withering criticism from others. 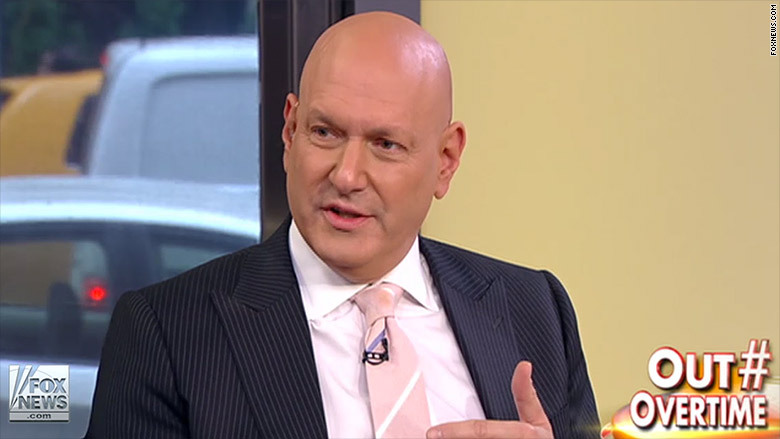 New York Times correspondent Josh Barro said it's "horrifying to think that Dr. Keith Ablow has patients who get psychiatric care from him." Vox.com's editor-in-chief Ezra Klein called the column "vile." And Jon Lovett, a former speechwriter for President Obama, joked that the "M.D." appended to Ablow's title must stand for "meth dork." Fox News has not responded to CNNMoney's request for a comment. Ablow, who acknowledged in the column that he has hosted a fundraiser for Carson, wrote that European Jews erred repeatedly throughout the Holocaust. "Granted, I was not there. Granted, hindsight is 20/20. But it turns out it was a bad idea for any Jew to have turned over a gun," Ablow said in his column. "It was a bad idea for any Jew to have boarded a train. It was a bad idea for any Jew to have passed through a gate into a camp. It was a bad idea for any Jew to do any work at any such camp. It was a bad idea for any Jew to not attempt to crush the skull or scratch out the eyes of any Nazi who turned his back for one moment. And every bullet that would have been fired into a Nazi coming to a doorway to confiscate a gun from a Jew would have been a sacred bullet." Carson's campaign also did not respond to a request for comment. Ablow is a practicing psychiatrist who has been with Fox News since 2007. Over the years, he has earned a reputation for the type of incendiary analysis that typified his column on Friday. Ablow suggested last year that Obama might deliberately allow Ebola to spread in the United States because the president's "affinities" are with Africa. "How can you protect a country you don't like?" Ablow said of Obama. "Why would you?" Ablow voiced a similar sentiment after the Fort Hood shooting in 2009, saying that Obama likely wasn't all that upset about the loss of life. In a 2011 column, Ablow advised parents to shield their children from the upcoming season of "Dancing with the Stars," which featured Chaz Bono, the transgender son of Sonny Bono and Cher. "It is a toxic and unnecessary byproduct of the tragic celebration of transgender surgery that millions of young people who do watch 'Dancing with the Stars' will have to ponder this question: Maybe my problems really stem from the fact that I'm a girl inside a boy's body (or a boy inside a girl's body)," Ablow wrote. That column prompted Tufts University president Tony Monaco to write a letter of support to the school's LGBT community. Monaco noted that Ablow, who has served as an assistant clinical professor at Tufts, was neither an employee nor a staff member at the university.